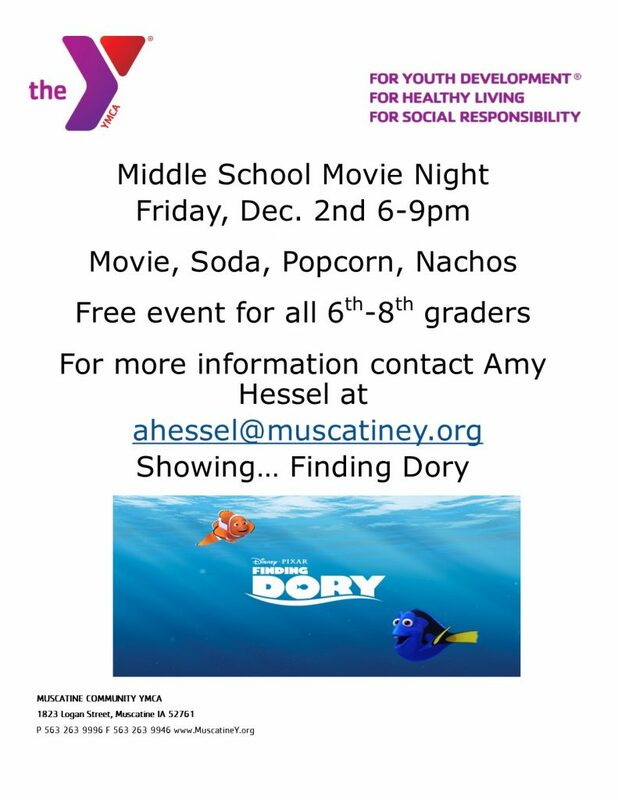 The Muscatine Community YMCA will be hosting Middle School Movie Night on Friday, Dec. 2nd from 6-9pm. The movie will be Find Dory! There will be soda, popcorn and nachos for snacks! The event is free and open to all 6th, 7th and 8th graders.